In May of 1969, a series of earthquakes opened a large fissure alongside Chain of Craters Road in Hawaii Volcanoes National Park. This was the beginning of what is known as the Mauna Ulu eruption. For five years, lava poured forth in a series of eruptions. Chain of Craters Road, completed only a few years earlier, was buried for several miles. Landmarks along the road were destroyed or irrevocably altered. A swathe of forest disappeared in flame. When the eruptions finally ceased, life soon began to reappear on the barren lava landscape. In this photo, vegetation has reclaimed a section of the original 1969 fissure. 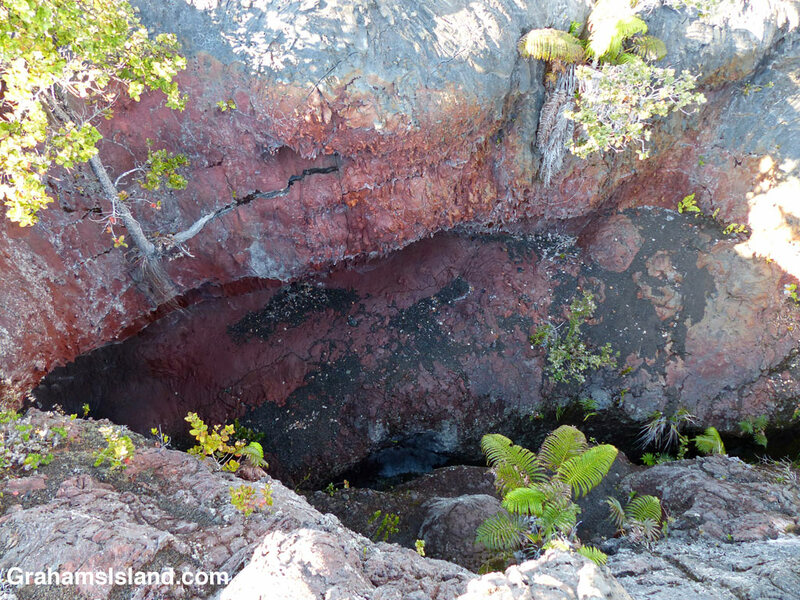 Roots are anchored in cool, moist cracks in the lava. The tree on the left is particularly striking. Having started out in a crack on a vertical face, it has reached up to the light and is going strong. I like to think it shows how resilient nature can be. For more information about Hawaii Volcanoes National Park, go to nps.gov/havo/. For more information about Kilauea Volcano and it’s eruptions, go to hvo.wr.usgs.gov/kilauea/history/main.html. Wow! Great story and shot! Looking forward to seeing more of your work. Certainly. This is resilience! Great pic!